I never expected my life to take a dramatic turn. Bad things didn't happen to me. I was happily married with a successful career...life was good. But, it only takes an instant for your life to turn upside down. That happened to me in 2013, when two of my triplets died within two months of their birth. Grieving the death of a child is a surreal experience. You are not supposed to outlive your child. Yet, just one week after giving birth I was sitting next to my husband at a funeral home, ordering our daughter's urn. Nearly two months later, we were in the same exact seats, picking out a matching urn for our son. In the early days of my losses, I felt alone. It wasn't that people didn't reach out to offer support. Instead, I shut myself off from the world. I didn't want to explain the traumatic events that unfolded and I didn't want to talk about my children. I felt like a failure. I did everything by the book when it came to my pregnancy. 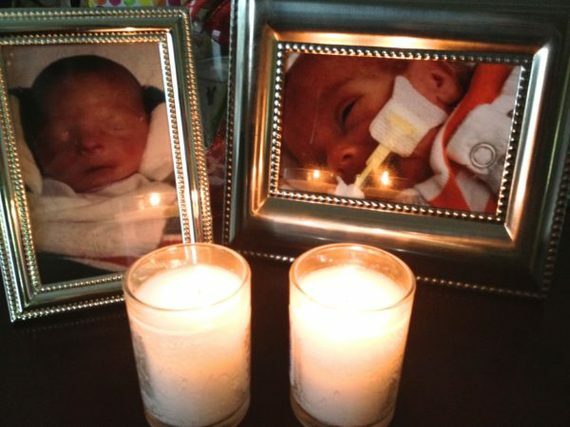 But in the end, two of my three children had died, their premature bodies simply born too early to survive. The guilt overwhelmed me, while my sadness consumed me. As my surviving triplet grew stronger, so did my inner strength. I couldn't dwell on the past and live my life wondering, "why me?" My bubbly, positive personality had been hidden long enough. It was time to figure out how to live life after loss. I poured through my voicemail, emails and other messages and found a support system that spanned the globe. What surprised me the most was the number of people who, like me, experienced a loss. Strangers shared their experience of having to bury a child. Childhood friends reached out to me to share their devastating losses from miscarriage and stillbirth. I quickly realized, I am not alone. There is an entire community of parents forced to balance the grief of losing a child with the challenge of moving forward in life. It's a club no parent ever wants to be a part of, but it's a resource that I am forever grateful to have. It's because of these fellow child loss parents that I am able to find happiness after the most difficult days of my life. These parents reached out to me, sharing their heartache, each story unique and one of a kind. Yet, we all carry this common bond: we each lost a child. Knowing other stories helped me realize that my grief was natural and normal. As the years pass by, my grief has changed and matured over time. It will never go away, but the pain and heartache has become less difficult. These days I find myself in a good place; full of happiness and love as I look at my beautiful daughter, while finding ways to honor and remember her brother and sister who passed. My life is completely different from what I pictured a decade ago, but in a way, it's better than I ever could have imagined. Through my losses, I have found new purpose in life. Much like those people who helped me through my devastation, I am able to lend a shoulder for newly bereaved parents to lean on. There is no loss that is the same, yet we are all connected through our grief. Because of this club that no parent wants to be part of, new friendships have formed and old friendships have blossomed. This common bond goes much deeper than the surface. We get each other. 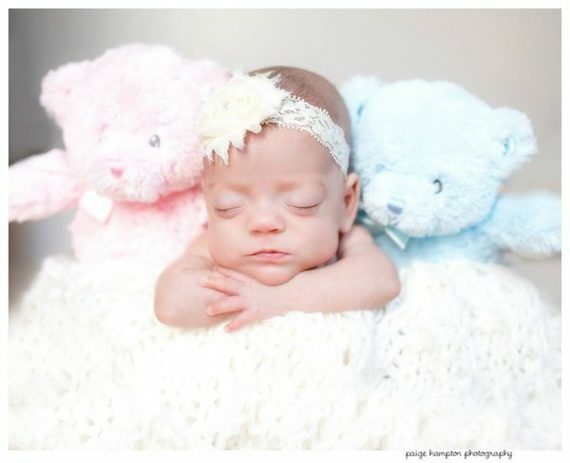 We understand each other in a way that only someone who has experienced the gut-wrenching, earth-shattering loss of a child can truly understand. I would give anything to have my two children here with me today, to watch my triplets play together as I always pictured in mind. But, rather than spend my days in a dark hole of sadness, I choose to live life to the fullest. It's takes a village to raise a child and an even larger village to get through the loss of one. We are joined together under difficult circumstances, but the child loss community is one of the positive things to come out of tragic chapter of my life.